If you need to feel confident in your getup, try pairing a Y's Combo Blouse with black skinny jeans. A pair of silver leather high top sneakers can instantly dial down an all-too-polished ensemble. 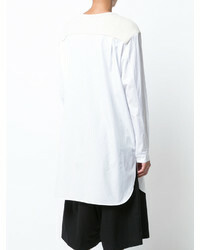 Why not consider wearing a Y's Combo Blouse and black ripped skinny jeans? As well as super comfortable, both pieces look amazing when married together. To add some extra flair to this ensemble, complement your look with a pair of gold sequin pumps. 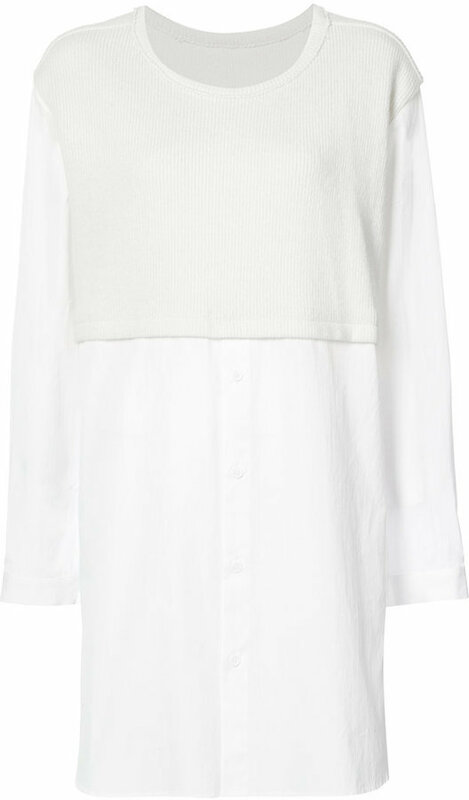 Pair a white wool blouse with blue ripped skinny jeans for a knockout and trendy outfit. Kick up this whole getup by finishing with black leather ankle boots. 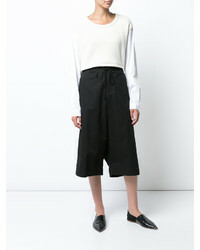 For an off-duty ensemble, pair a Y's Combo Blouse from farfetch.com with a white textured mini skirt — these two pieces work nicely together. Add white slip-on sneakers to your look to have some fun with things.